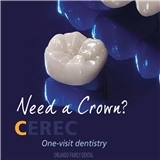 Orlando Family Dental, LLC (Orlando) - Book Appointment Online! At this office, every patient is special. It is our goal to help you experience the wonderful benefits of good dental health. Strong, good looking teeth enable you to eat better, look better and feel confident about your smile. We do not accept Medicaid, Medicare or any state affiliated program.